Welcome to Chichester Self Catering! Welcome to this gorgeous area – close to beaches, countryside but also close to cities and transport(and my home!) Let me introduce myself…. My name is Gayle Palmer. 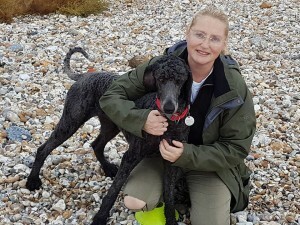 Aside from running the self catering lets, which sometimes includes the cleaning and laundry; I am also an Osteopath – and have been since 1991!! I bought the land in 2002 and lived in Living Elements at that time. I built (and opened) the newly built clinic in 2005 – part of which is now Nature’s Elements. In addition I look after my family’s holiday home in the next door village of Birdham. Palmer’s has been recently re-built and re-structured and now sleeps up to 13 guests. I am passionate about my career helping people attain and gain their health, strength and sense of purpose. I work not only on a strictly physical level, but also on a mental, emotional and spiritual level too! Plus I am interested in lifestyle and diet! My aim is to transform my clients experience of life and living – quite a tall order sometimes! Hence I am also a life coach of sorts too. I have created some new programs to enable clients to create breakthroughs in their health and vitality, all around the world! This includes teleseminars, worksheets etc. 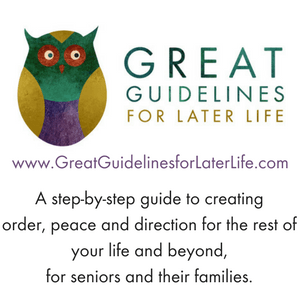 I have also created a programme called “Great Guidelines for Later Life” to help seniors and their families get their “stuff” in order before they die – often a difficult and confusing time, and emotional for everyone, whenever you may start this journey! The free Starter Kit has already saved 2 lives! – you may wish to download it from here for yourself. If you are interested in buying some of the brilliant environmentally-friendly cleaning products which we use here, or other carefully sourced health products which I sell; OR if you want to make an appointment for a treatment during your stay, please pop over during clinic hours – Mon / Tues / Thurs or call me. In my spare time – I LOVE gardening, and with an acre here, plus other gardens, they keep me pretty busy! 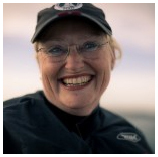 My biggest passion is racing and sailing my Classic yacht – which I sail from one of the nearby villages, Itchenor, 3 times a week in the Summer! (In the Winter its repainting and varnishing time!) From time to time, I am willing to take a guest out (as long as they have done some sailing before and are reasonably fit) – so do ask! Its a real “Red Letter” experience! I enjoy welcoming guests to Chichester Self Catering and hope you enjoy the experience of staying here. ..Sometimes stuff doesn’t go quite according to plan, but I will always do my best to sort out challenges whenever I can. You can help too – by letting me know if something isn’t working or broken. I really do try to make your stay a success, but being a busy lady some patience may be required. Politeness also goes a long way too plus some commonsense! Eg replace a light bulb if you need to – there are spares in each property. Most of the lets are from a Friday to a Friday (or over a weekend). If you have different requirements please let me know. They can sometimes be accommodated. Hen Party groups are welcome and larger family groups – there are a number of extras you have take advantage of too. 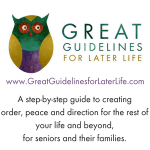 I hope you find what you are looking for on the website – I have tried to make it comprehensive,and I often add new posts and pages and blogs. I am also on social media… are you? Please like, follow and pin! Thank you for your support, its really appreciated. Gayle and Echo the poodle.